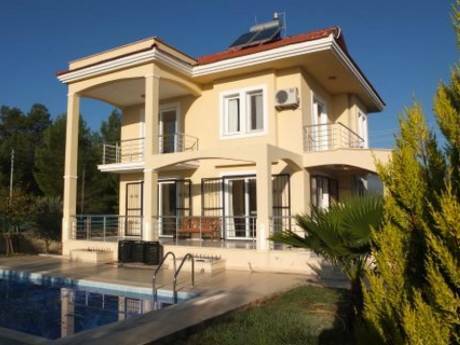 Our holiday villa in Turkey has open plan living/dining/kitchen area, a seperate upper floor for the master bedroom and bathroom, a ground floor with a double and ensuite, and two twin bedrooms, and a roof terrace with fantastic views of the bay. 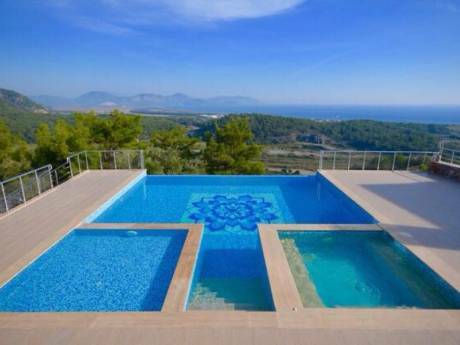 The lower bedrooms open directly into the garden and then it is a few short hops into the swimming pool. The villa is well furnished with satellite TV etc. There is a full time caretaker living nearby. There are steps up to the villa so not suitable for disabled. 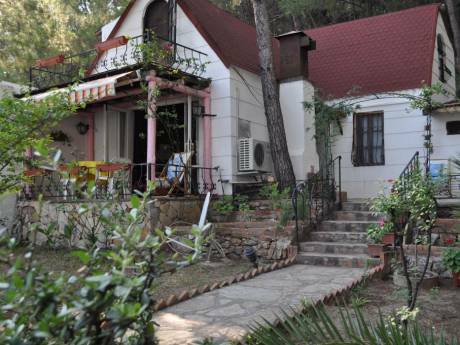 Villa Yedi Evler is a 10 minute walk up the hill from the bay where there are a number of excellent reasonably priced restaurants and bars, many with sun loungers. The resort is quiet and sophisticated; you will need to visit Bodrum (20 minutes drive) for the discos and nightclubs. This area is fast becoming known as the St Tropez of Turkey.